Whatever will they think of next? Classic Match Foosball is a quite marvellous invention. 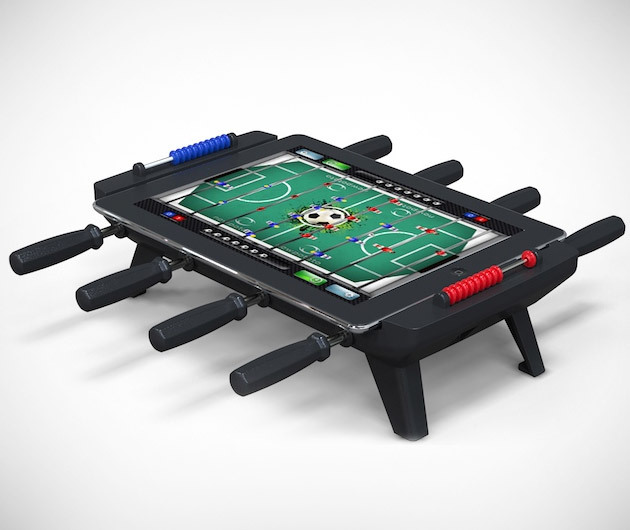 To be used in conjunction with its namesake app, it's your very own mini, portable table soccer game that fits snugly around your iPad, with its very own rods, removable legs and rubber feet. It will even charge your gadget as you play and keep score as well, so no cheating.